Sonic was still a Freedom Fighter at the time and formed a new group called "The Sonic Team Brigade" along with Tails, Amy, Knuckles, Techno the Canary and Porker Lewis, who have rebelled against the Doctor, along with many others. 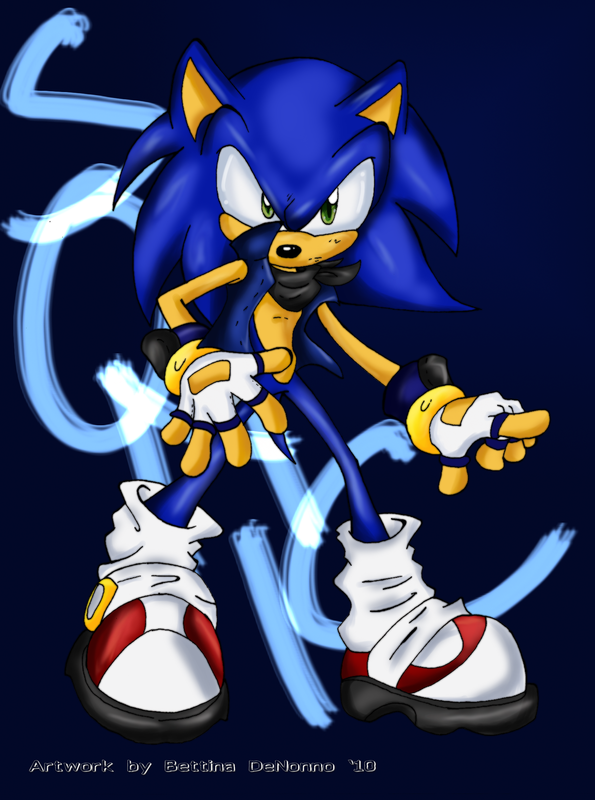 This is him a year or 2 before the reign where Eggman suddenly disappeared, a few changes were made such as his shoes, his gloves and his fur was a bit more rugged, as you can see he's 18 years old. In the comic he's 21.